Miss Print: It's Giveaway Time - Winter's Lane! It's Giveaway Time - Winter's Lane! Hey y'all! So, it's giveaway time again - woot! Once again, the lovely folks at Fat Quarter Shop and I have teamed up to bring you some pretty awesome swag. 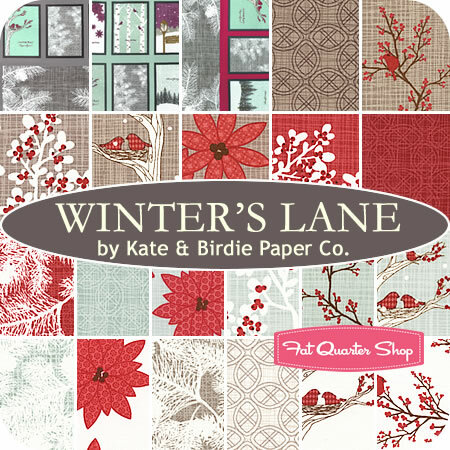 This time around we're giving away a fat quarter bundle of Winter's Lane from Kate & Birdie Paper Co. for Moda. This is a really great winter-themed collection, but one of the things I really like about it is that many of the prints could easily be incorporated into sewing year-round. The greys are my absolute favourite! It's been awhile since I've seen a winter-themed collection that doesn't scream "CHRISTMAS! ", so this is just great. Yep, super-pretty. I think I definitely need reams that print that looks a bit like pine branches, especially in the grey (and the ice-blue). is your favourite from FQS' Coming Soon page. That's it! Two easy-peasy ways to enter! I will close the comments in a week (on May 28th) and announce the winner here on the blog. International entries are, as always, welcome! Also, please remember that I have comment moderation enabled so if you don't see your comment right away it just means that I haven't had the chance to approve it yet (duplicate comments will be deleted). That 30's playtime is wonderful! Hmmm... that would have to be Acacia from Tula Pink... closely followed by Bungalo by Joel Dewberry. These are two designers I just can't resist! I like Anything Goes Basics. Oh, I LOVE the Winter's Lane line! That's my favorite and the one I've been waiting for. From FQS's Coming Soon page, V and Co's Simply Style is next on my list. My favorite coming soon item at Fatquarter Shop is the Mosaic Florence Fat Quarter Bundle by Denyse Schmidt for Free Spirit Fabrics! Hard to choose but Scrumptious by Bonnie & Camille would be my first pick. I Love this collection! I also follow your blog, I'm always interested to see what crafty things you've been up to. I follow your blog. Thanks. I like Crossroads by Jan Patek. I saw more of Tula Pink's Acadia and Barcelona at Market and can't wait to get some. Gorgeous, both. Thanks. I follow your RSS feed via Feedly. I WAS waiting for Winter Lane! I have my eye out on Gracie girl right now! I just am in LOVE with Winter's Lane. I also saw another new print by Kate and Birdie that appears to be scrumptious with hedgehogs. I love love love 30s playtime! Acadia! I love everything Tula! Yikes, I can't decide! It's between Briar Rose and French Ziggy--I think! I guess French Ziggy! I'm loving Winters Lane such a breath of fresh winter air! Snug as a Bug by Melly & Me for Riley Blake. I am a follower. Thanks to you and the FQS for the great giveaway. I really love the Woodland Pals by Anne Kelle, but I love all of the Christmas fabrics, too! I'm a follower; thanks for the chance! I've got a few fav's Fresco Florence, Honey Sweet, Virginia Hennessey, Camp A Lot, thanks for the chance. Definitely need to score some sweet Briar Rose strawberries! I'm a follower. That fabric is gorgeous! I follow your blog in Google Reader! I can't get enough of chevrons, so I like the Half Moon Modern zig zags. I am looking forward to Acaia by Tula Pink! Thanks for the wonderful giveaway chance! I love Anything Goes Basics. So pretty. I love all the Kimberly's garden bundles. Definitely 30s Playtime - I'm a complete sucker for 30s reproduction fabrics! Thank you for the giveaway! I love the Honeysweet FQ bundle by Fig Tree! I really like the Glisten! And yes, I'm a follower! So many, gosh. :D I like the Sidewalks 10" Stacker October Afternoon for Riley Blake Designs. 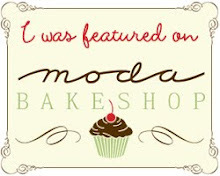 Bluebird Park by Kate & Birdie for Moda is a favorite! I'm a follower!! Thanks for the chance to win! Hi I love the look of Barcelona. Thanks for the chance ! I like the color combo in the Jazzy Anything Goes Basics collection. My fab would be Scrumptious from Bonnie & Camille. Thanks for the giveaway. I want some of Tim Holtzs Eclectic Elements! It looks so fun and I'm a fan of his products! Quilt Gate Fabrics ! Thanks so much for this great giveaway! I'm looking forward to Tula Pinks Acadia (well among another dozen lines!) Thank you for the giveaway! I am also a follower of your RSS feed, thank you! Love the look of Barcelona by Zen Chic, I see lots of possibilities of projects to sew with it. I'm a follower and think it's never too early to enjoy some Winter themed fabric right! I really like Soho Chic by Sandy Gervais. Scrumptious is the one I'm dreaming about. I follow your wonderful bog with bloglovin. Skinny side by Kate Spain. I can't wait for Joel Dewberry's Bungalow!! I love the Woodland Christmas BOM by Bunny Hill. I really like Eclectic Elements Yardage (Tim Holtz for Coats & Clark Fabrics). I love Vin Du Jour by 3 Sisters for Moda. I think I'm going to have to say that I'm most excited about Briar Rose, but I'm also looking forward to seeing if my address made it onto Sweetwater's new line! Oh I like this Winters Lane!! Thank you for the chance to win. The line I also like is: Anything goes basics. Because I need some basics and these have fresh colors. 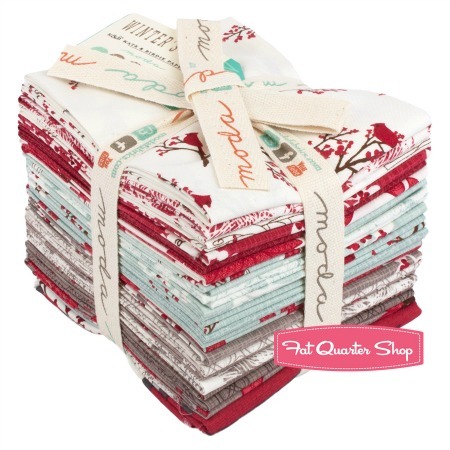 Winter's Lane Collection, so I would love this prize, but Heart Candy Cane Angels Fat Quarter Bundle by Lynette Anderson for Lecien Fabrics also look great! Ohhhh, with no doubt, my favourite is Bluebird park. I completely agree with you, Winter's Lane collections is gorgeous!! My favorite is Anything Goes Basics by Barbara Jones of Quilt Soup for Henry Glass Fabrics. I am really looking forward to the new DS range "Florence"! I love everything she does! And I'm a follower! Thanks for the chance to win this lovely bundle! Briar Rose is so lovely! Ohh there are some lovelies coming out but I think one of the ones I love is "Soho Chic by Sand Gervais for Moda" yum...but there are a few others that are nice too. Anything Goes Basics is my favorite from FQS Coming Soon page. Thanks. I'm a follower - thanks again. I am looking foward to Josephine Fat Quarter Bundle byFrench General . I am already a follower of your blog. Thanks so much! Good morning! I like the 30's Playtime Honeycomb. Thanks so much for the chance. Have a super day! Yes, I follow your blog. Have a super day! I am a follower of your blog. I love reading your posts. I love the You Whoo!! Range from Shelly Comiskey. There are so many gorgeous fabrics coming and I am excited to see some of the new patterns coming too. I follow your blog on Bloglovin'. Thanks for the awesome give away. I hadn't seen this line yet and it is just beautiful. I would love to have Tula Pink's Acacia. My favourite is Collage by Such Designs. I love it! I follow your blog on FB (Deborah Gunthorpe) and on GFC. I want some Ashbury Heights! I like Bobbins & Bits fat quarters. Yes I am a follower...thanks for the chance to win. My favorite over their is Snazzy Anything Goes Basics fat Quarter Bundle bt Barbara Jones Of Quilt Soup For Fenry Glass Fabrics. So hard to choose just one thing, but Scrumptious by Bonnie & Camille is lovely. My favourite is Florence by Denyse Schmidt. Thanks for the lovely giveaway. I follow your blog via Bloglovin, thanks. My favourite is Heather Ross' new line Briar Rose. I also follow your blog through Google Reader and bloglovin! I'm definitely looking forward to Briar Rose. Thanks for the chance to win! I like Boy Crazy. I'm crazy for mine! I would have to say Acacia...I'm a new Tula Pink fan (I know, I know, late to the party once again! haha). I am a follower as well! Thanks for the lovely giveaway. Oh man, I am just DROOLING over Scrumptious by Bonnie and Camille - I think I may just have to splurge on a fat quarter bundle when it arrives! I am a new follower to your blog! I subscribe through Feedly. I can't wait for Collage to arrive! Thanks for a lovely giveaway chance! I'm really excited about the new briar rose collection! I follow your blog via netvibes, thanks for the chance to win! I'm excited about neon. Thanks! I like the Acacia by Tula Pink! This fabric is gorgeous, and I'd love to win a bundle of it! Oh my goodness, and the Babar fabric! I didn't know it was coming out at all, and I adore that! It would be perfect for a baby quilt that I need to start soon! Not sure if I can wait until November though, so maybe this baby will get two quilts :) Bluebird Park also looks like it will be adorable, as does Enchant by Cinderberry Stitches. I also can't wait for In From the Cold, as Kate Spain is one of my favorite designers. Looks like I have more than one favorite upcoming fabric! I always get in a lot of trouble when I scroll through the pages at Fat Quarter Shop, so I stopped at the first one that I saw that I wanted, Acacia!! I know there are at least 10 more though, for sure! So much to love at FQS!!! 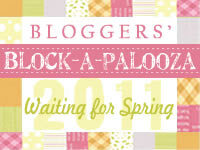 I would love to get the rolie polie of Bake Sale by Lori Holt...and a whole bunch of other stuff! BTW...Winter's Lane is just breathtaking! Such a great prize for a lucky duck! I follow via Bloglovin' and it's a good thing...my Blogger reading list disappeared already. i'm definitely intrigued by briar rose! Love the purples and oranges of Ashbury Heights from Riley Blake. Yummy. Thanks for the chance. I think my favorite COMING SOON item would be Honeysweet by Fig Tree - a fat qtr bundle would be wonderful! Btw - I LOVE Winter's Lane! I like the Coffee Pot Batiks - so unusual! I have a weakness for anything 30's related, sot eh 30's Playtime fabrics are on my "gotta have" list! I really like the Anything Goes Basics bundle. Such great prints and colors. I like Critter Patch Organic. My favorite coming soon fabric is Birch Autumn harvest. I have been looking for a autumn fabric that really catches my eye and I love that one. Thanks for the giveaway opportunity! Cypress Acacia is my favourite fabric choice from the Coming Soon site of Fat Quarterly. Thanks for the opportunity. i am a follower and I love Winters' lane .. I really like the Boho FQ bundle by Urban Chicks for Moda. The Winters Lane is beautiful too. I am an avid follower. Another Vox Case + the Giveaway Winner! Sewing Summit 2013: I'm Teaching!